Last weekend we participated in the Western Wake Farmer’s Market Strawberry Festival. We made a creamy strawberry vinaigrette with a tossed salad, topped with fresh-picked, sustainably grown strawberries. 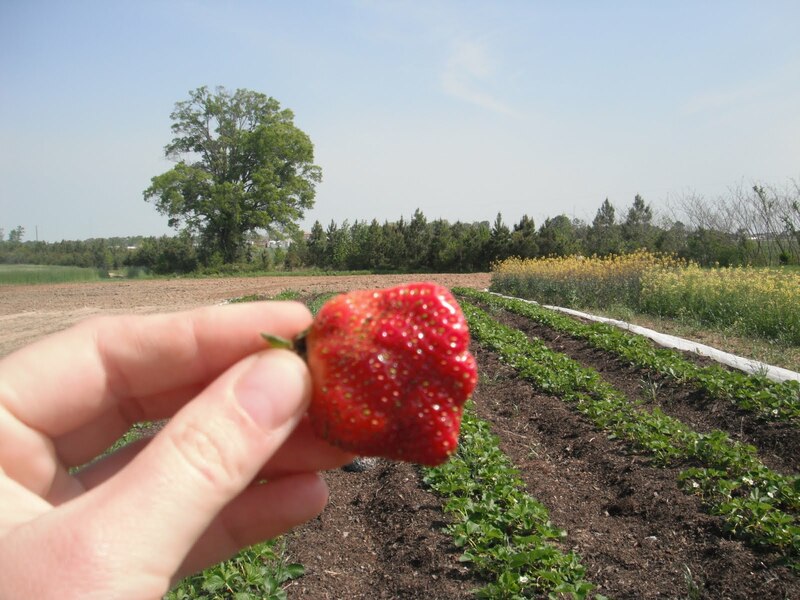 Sadly, we didn’t have any strawberries to sell at market last week, but hopefully we will have enough for market this Saturday. We shall see. We are giving first priority to our CSA members, but any left overs will be available for market customers. 1. Puree or smash strawberries with a potato masher. 2. Add oil, vinegar, and heavy cream. 3. Mix well. Taste. Adjust to taste. You can add salt and pepper or you can add sugar if you like. We just keep it simple. 1. Wash and spin salad greens. 3. Add vinaigrette, chopped walnuts and strawberries. 4. Toss ingredients (or you can place strawberries separately on your plate after you’ve tossed the other ingredients to highlight the strawberries in your dish). As usual, we’ve been keeping fairly busy on the farm. We’ve been planting a lot of our summer crops, including cucumbers, squash, zucchini, watermelon, corn, peanuts (our first time doing this, so it may just be a personal crop), and green beans. 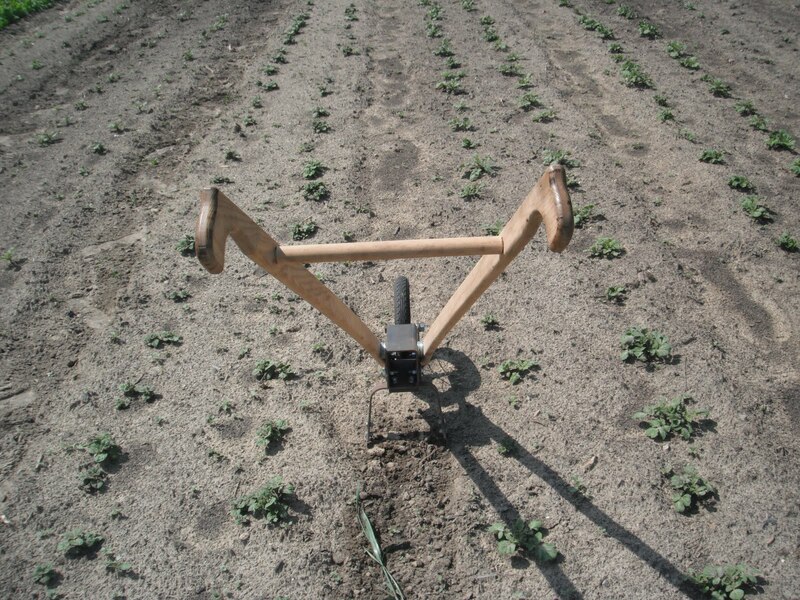 We’ll be transplanting tomatoes, tomatillos, eggplant and peppers soon – likely later this week. We’ve also been busily cultivating. Above is a wheel hoe. I went through the potato plants with it to keep them good and free of weeds.We also planted some flowers, which of course, are not yet ready – but here are some pretty flowers that are currently in bloom. 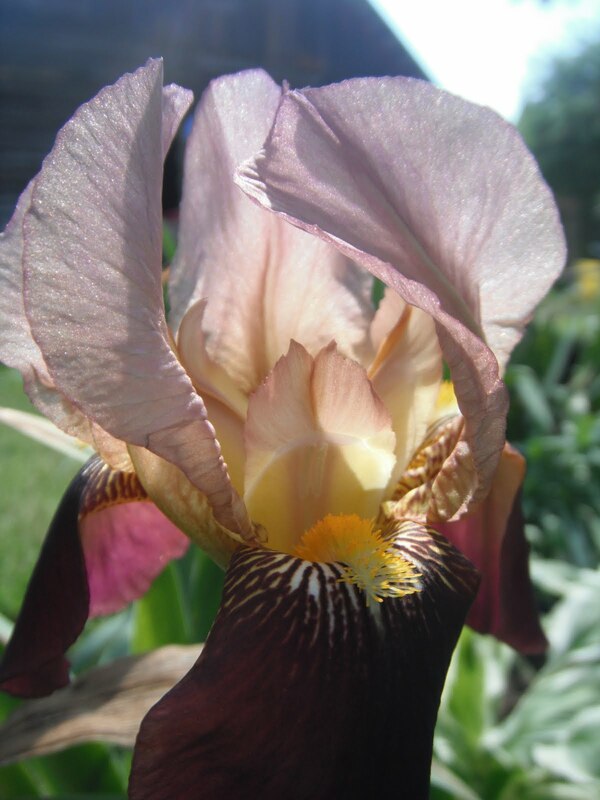 A gorgeous iris (not sure which variety – if anyone knows, please comment below). 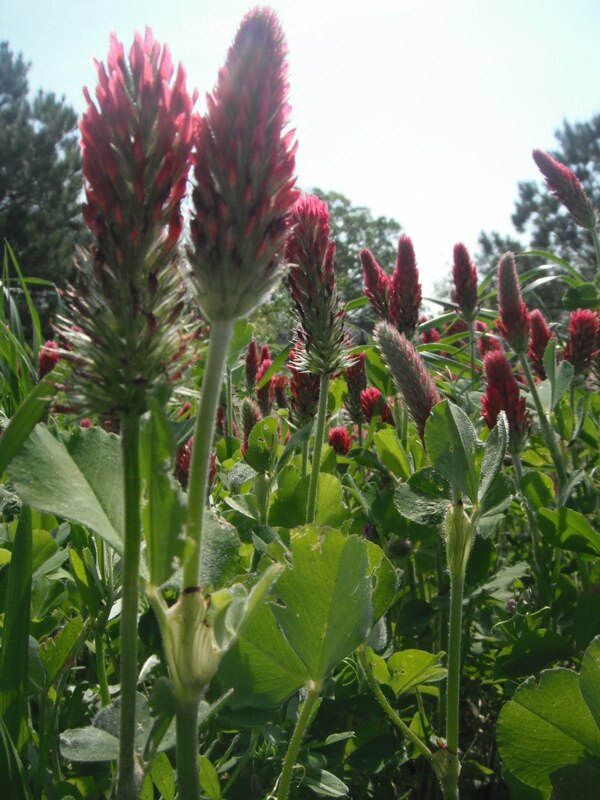 This is crimson clover. Ben planted it all over the farm to help provide more nutrients for our soil. Clover is particularly helpful for fixing nitrogen in the soil. It’s also very pretty. Well, I suppose that’s it for now. This week marks our first week of the Summer CSA. 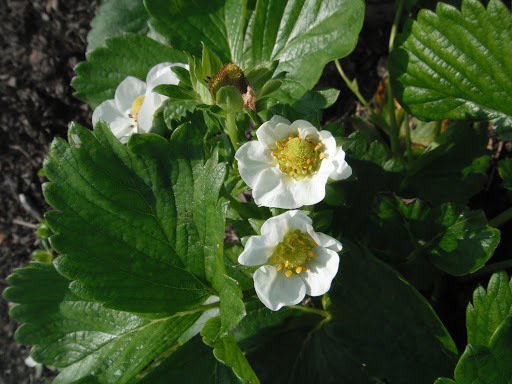 We’ll be providing CSA members with strawberries, lettuce, kale, bok choy, tat soi, spinach, arugula, Swiss chard, frisee, mizuna and dried rosemary. We’ll also include a weekly (hopefully!) newsletter with CSA shares for the first time this season. Members last year liked the blog, but wanted something a little extra. Our weekly newsletter will be an effort to meet that particular need. If you’re interested in joining our CSA, it’s not too late! Please print out a copy of the CSA brochure (linked to the right of the screen) and mail us your first payment to Ben’s Produce;1000 McLemore Road; Clayton, NC 27520. If you miss the first week or two, we’ll prorate you, so no worries there. And, of course, if you have any questions, please email us at BensProduceNC@gmail.com or give us a call at 919.800.8898.